Venus Retrograde, 2011. Oil on wood. 18" x 24"
The Grand Excursion, 2005. Digital. 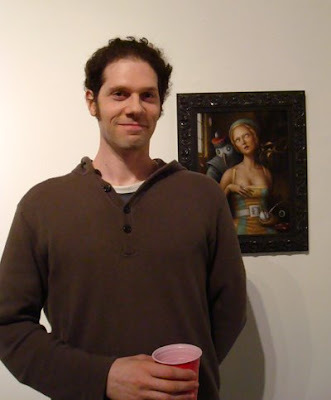 Andrew Arconti lives with his wife and two cats and alongside painting also enjoys learning to play the Renaissance lute. Always great to hear from visitors to Nomadic View. What's on your mind? Arianna and RuPaul: What Do They Have in Common? Broccoli Frittata Recipe – Fantastically Simple But Oh So Tasty! Update: The Playground Is Officially Way Shittier! Our site contains links to third-party websites. We have no influence whatsoever on the information on these websites and accept no guarantee for its correctness. The content of such third-party websites is the responsibility of the respective owners/providers. Nomadic View Blog no responsibility for comments.